Essential oils have enhanced lives for thousands of years, offering a variety of benefits from cosmetic and dietary purposes to spiritual and religious use. Extracted through careful steam distillation, resin tapping, and cold pressing, the purest essential oils are far more powerful than the botanicals from which they come. Essential oils are extracted directly from the bark, flower fruit, leaves, nut, resin or root of a plant or tree, and just one drop can provide the amazing health benefits that each oil provides. Used medicinally for thousands of years, the potency behind these oils is their ability to support your natural healing systems. Truth be told, the best essential oils as we know them today are very new on the scene of plant-based therapies. To be fair, ancient civilizations did employ crude distillations techniques, but the essential oils that were extracted centuries ago were a far cry from the potent, filtered, and pure compounds that we see on the market currently. The same is true with extracts, salves and poultices that were made from healing plants. They all contained essential oils and were, thus, very effective at preventing and managing disease. However, they definitely lacked the medicinal strength of the best essential oils that we use today. Be that as it may, a vital component of ancient culture spanning at least 3,000 years, it appears that essential oils were enjoyed by those in ancient Cyprus, Egypt and Pompeii who first made extensive use of herbs with distillation methods dating back 3,500 B.C. This wisdom sailed across the Mediterranean and evidently reached Hippocrates, who utilized aromatherapy to enhance massage techniques a few centuries before the coming of Christ. Somewhere in the midst of this knowledge transfer, China and India also started to employ herbal remedies, and Ayurvedic medicine embraced essential oils extensively. As civilizations transferred world power, the technique of using healing essential oils from Greece travelled to Rome, who favored aromatherapy and fragrances. After the fall of the Roman Empire, Persia picked up these healing techniques and perfected the essential oil distillation process. Sadly, the Dark Ages brought with it a disdain for Hippocrates’ holistic approach. However, because the Catholic Church viewed bathing as sin, high esteem was given to aromatics – which coincidently are also antibacterial – to keep foul odor at bay. Little did they know that their perfume was also helping stave off sickness and disease! During this era, it is believed that Monks continued the healing tradition of essential oils and secretly kept herbal medicine alive in the halls of their monasteries. Unfortunately, folk medicine was viewed as “witchcraft,” and many herbalists were either burned at the stake or persecuted. Thankfully, the Renaissance resurrected herbal medicine, and physicians such as Paracelsus challenged his medical colleagues with testimonials of successful treating life-threatening concerns like leprosy. 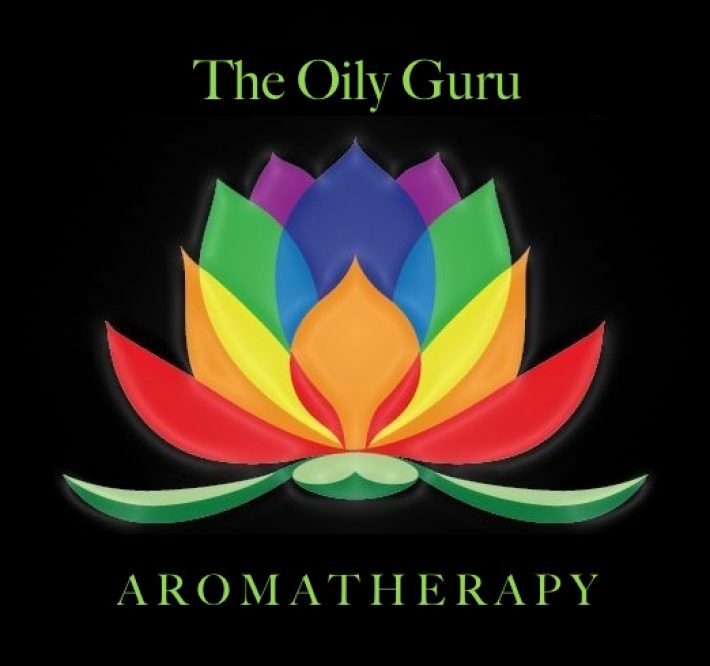 What we know as modern “aromatherapy” was not introduced formally until French chemist Rene Maurice Gattefosse first coined the phrase in 1937. Although he wasn’t necessarily a natural health advocate, he became interested in essential oils after a 1910 accident where he badly burned his hand, and used the first available salve in his laboratory: a pure, undiluted lavender oil compound that not only immediately eased the pain, but healed his injury without infection or scar. Because of Gattefosse’s work, Dr. Jean Valet used essential oils to treat injured soldiers in the second world war, and this led to Marguerite Maury being the first person to “individually prescribe” essential oil combinations using a Tibetan technique for back massage that treated nerve endings along the spine. The Best Essential Oils that Work! The best essential oils for healing are comprised of a complex network of molecules that each carry different effects to the body. Their power to beat disease is so effective that, under the supervision of a natural health expert and herbalist, you may be able to avoid the having to use needless drugs or have unnecessary surgeries. The list is long, but after careful research I’ve narrowed the top 10 best essential oils that can help you the most! Overshadowed the past several hundred years by its role in the “Christmas Story,” frankincense is finally getting the attention it deserves as one of the most viable healing agents on the planet. The journal Oncology Letters published an article late last year that highlights the ability of this Biblical tree to kill cancer cells; specifically the MCF-7 and HS-1 cell lines, which cause breast and other tumors. (4) Frankincense essential oil has also been used with much success to treat issues related to digestion, the immune system, oral health, respiratory concerns and stress/anxiety. One amazing healing effect of rosemary that many people are unaware of is its ability to normalize blood pressure. Used for centuries to improve everything from memory and brain function to relieving common aches and pains, rosemary even has a history of stimulating hair growth. But most people don’t think of rosemary mimicking their blood pressure pills! The way I see it, if an essential oil is so powerful that scientists need to test if it can cause damage to your genes, it has got to be doing something that is turning heads! And it’s not just tea tree oil. All of these oils are super-healers and should be in medicine cabinets all over the world. Baths: 10 drops mixed with 1/2 cup coconut milk and 1 cup of salt makes a fantastic aromatherapy for circulatory, muscular, respiratory, skin and sleep problems in addition to calming your nerves. Generally, it is advisable to avoid potent oils that could irritate the skin such as lemon, oregano or tea tree; instead, use soothing oils like eucalyptus, lavender, and sandalwood. Compresses: 10 drops per 4 oz. of water. Soak cloth and apply for bruises, infections, aches and pains. Salves: A 2% dilution is recommended, which is 12 drops per 1 ounce of oil, for relaxation and to alleviate joint/muscle soreness. Young Living Essential Oils, LC, is the world leader in essential oils, with a strict Seed to Seal® process that produces pure essential oil products for every individual, family, and lifestyle. This process ensures that all products are genuine, free of synthetic chemicals, and pure. This commitment stems from the company’s more than 20 years of stewardship toward the earth and its people. If you would like to sign up to buy oils at a discount click here. Lavender has to my my most used oil. It is the “Swiss Army Knife” of essential oils.